Before 8-year-old Relisha Rudd went missing over a month ago, she longed to leave the bleak surroundings her family called home. She called the homeless shelter at the former Washington, D.C. General Hospital, where her family has lived for two years, a “trap house,” or a dismal place with bedbugs and no playground, the Washington Post reports. Relatives told the Post the spindly second-grader had such a deep desire to leave the shelter that she would fake asthma attacks to stay at their homes. Teachers at her old school told the Post that she often arrived tousled with dirty hair and clothes and on an empty stomach. And unlike most kids, she frequently did not want to leave school at the end of the day. Relisha was last seen on March 1 in Northeast Washington after her mother, Shamika Young, allowed her to leave with Kahlil Tatum, 51, on Feb. 26, police said. On Monday, searchers found Tatum’s body in a shed at a park. He reportedly died of a self-inflicted gunshot wound to the head and his body had been there for up to several days. Young is under investigation in the disappearance. 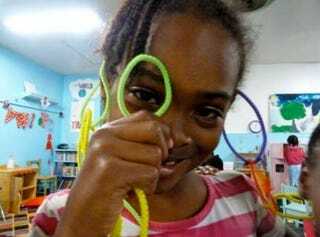 Police speculate that Tatum may have killed Relisha. He was already wanted for questioning about the death of his wife, Andrea Tatum, who was discovered on March 20 facedown on a motel bed in Oxon Hill, a Maryland community outside of D.C., with a gunshot wound to the head.